At Hy-Lite, we know that privacy windows add light, personality and style to a home. That's why we've crafted a wide variety of styles, shapes and sizes of privacy windows to meet the needs of every homeowner. 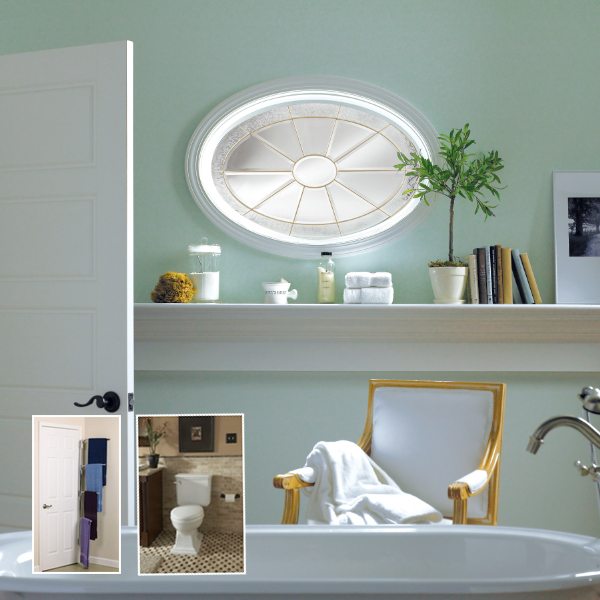 Whether you're looking for a fixed window that stretches across your entire bathroom to create a stunning backdrop, or a simple oval window for a hallway, we've got you covered. From operable square windows crafted with dramatic beveled glass and black patina or satin nickel caming to cross rib acrylic block casement windows, we have the options you need. Think outside of the box when pondering where a privacy window could work in your home. Of course there's the traditional placement of our windows in the bathroom over a garden tub. But there's also the growing popularity of having long transom windows high up on the wall of the shower. And, venture outside of the bathroom and you'll discover that the stylish designs of both acrylic block and decorative glass windows lend themselves well to home office settings, bedrooms, family rooms and kitchens. Wherever you require light in your home, we have a privacy window to meet your needs.